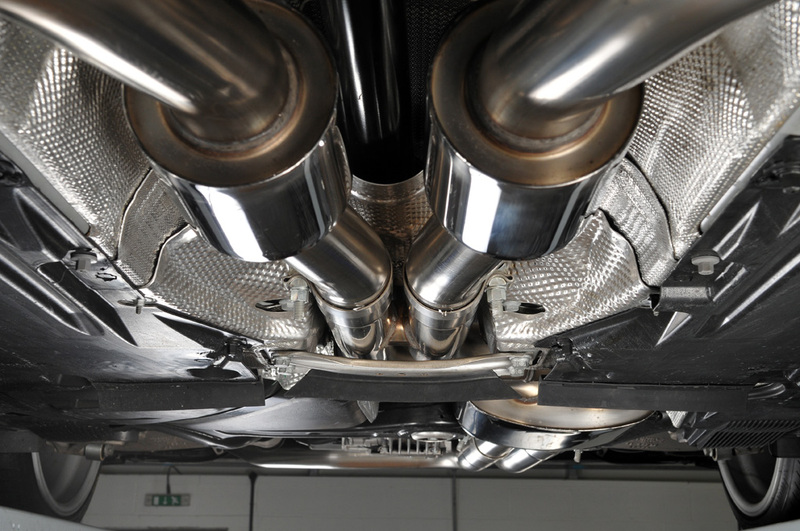 Milltek Sport have completed initial development of a new header-back (manifold-back) performance exhaust system for the new Audi RS5 Coupé. The system is constructed entirely from stainless steel and uses the RS 5's existing tailpipes to ensure it retains the OEM-style. Milltek has fitted it with the an Active Exhaust Valve (AEV). The AEV is an vacuum-operated flap which works on one of dual tailpipes. When closed, the valve helps to keep the sound volume to a minimum but when you press the 'Dynamic' button, the valve opens up and releases everything that the wonderful V8 engine has to offer. This feature will certainly make the Audi RS5 a very easy companion to live with on the everyday commute, remaining very civilised when cruising and only releasing its vocal attributes when you want it to.